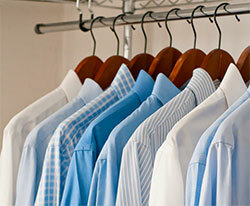 eart Cleaning is pleased to be extending their services by offering bespoke ironing. Yep, the rumours are true, we love to iron as well as clean. Strange?! Why spend hours a week ironing, when you could be using it to have some 'you' time? Hate the thought of working through that ever growing ironing pile? Then why not let us take care of it for you.... We offer a fast, efficient, and friendly service to the highest standards of ironing. Using only modern, high quality steam irons which are regularly maintained, ensures our work is of the highest quality. All our work is carried out in a hygienically clean and smoke free environment. Once again Heart Cleaning sets new standards in the industry and we are very pleased to offer FREE delivery and collection! If you leave us a key to your house, we can collect your ironing basket and then deliver the ironed clothes back to your wardrobe! We charge by the hour* (£14 an hour) not per item, or by kgs like most companies and in an hour we get on average, 12 shirts ironed. They will be returned to you on the hangers you provide, or folded neatly back in your basket. We will invoice monthly at the end of the month for your ironing and there is no need to sign up for a certain amount of months, we can iron weekly, fortnightly or just whenever that pile just gets too big! There is also no ironing pile too big or small for us! * Minimum charge is for one hours ironing. Iona was wonderful! Very thorough and efficient and most importantly so easy in the house and got along great with the animals. Thank you. Because Heart may already clean your house or your friends house. We are based in the Meon Valley, we have been established for over eight years, we are fully insured and above all we are damn good at ironing!